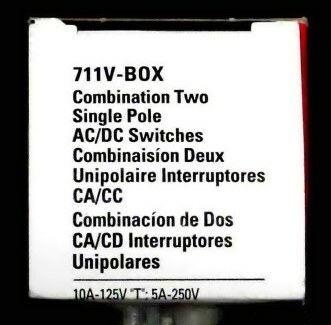 All of the circuit breakers we sell are DC rated. Well, first off they are made to break a direct current arc. They last longer which means less voltage drop at the switch. long - at worst could create a dangerous fire situation. Many were used in d.c. wiring systems in the pre-rural electrification programs. We have been selling low voltage d.c. lights for over fifteen years. 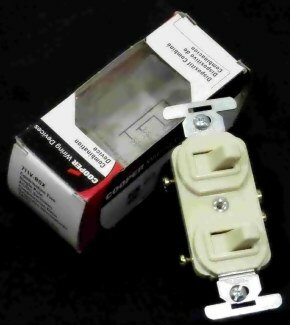 a.c. rated wall switches to turn on the lights in the vehicle. 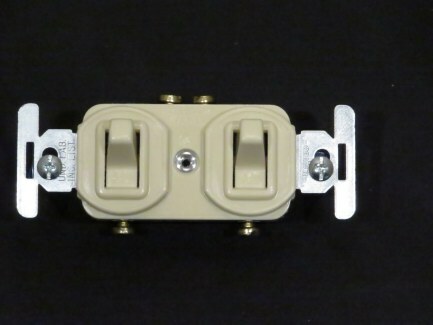 These switches arc the contacts which causes pitting and corrosion. This condition causes a voltage drop which quite often damages the light fixtures. 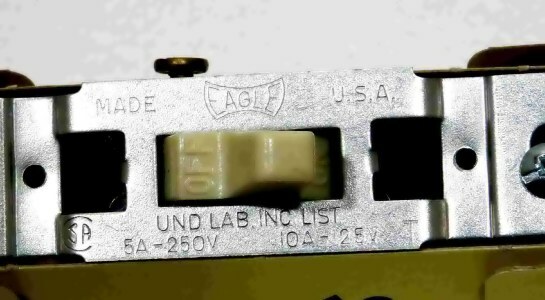 Both of the following switches are made in the U.S.A.
Eagle model 777V-BOX single pole switch. As you can see in the third picture this is "T" (for tungsten) rated. D.C. rated - for use with copper wire only. 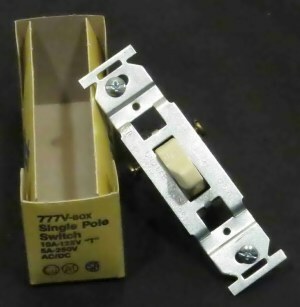 This switch fits in a standard gang box and uses a standard face plate - NOT INCLUDED. We no longer handle d.c. rated wall switches. 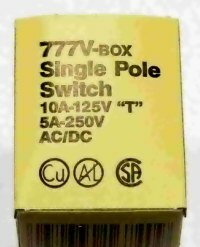 Eagle model 711V-BOX combination two single pole switch. As you can see in the third and fourth pictures, this is "T" (for tungsten) rated. As you can see, each switch has its own input and output connection screws. 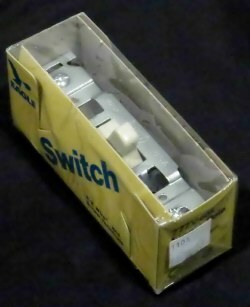 This switch fits in a standard single gang box. 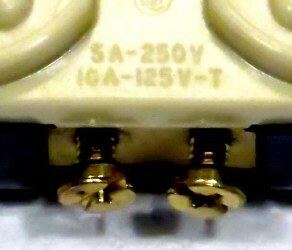 For a face plate you would use a double recepticle (outlet) type - NOT INCLUDED.